Pete Schmiechen is the President Emeritus of Lancaster Theological Seminary and in the preface to this major work he notes how his work as a UCC pastor, an academic, and then a seminary President shaped his on-going passion for this important topic. It shows; this is a serious and wide-ranging book and yet is certainly not written for the theological guild, or even for exclusive use as a seminary text, but for working pastors, church leaders and interested learners of all sorts. The sub-title is important since Dr. Schmiechen is interested not only in learning how to explain and formulate the reconciling work of the Cross, but how that might shape pastoral practice and typologies and styles of congregational formation and church life. The last few posts here at BookNotes have, I hope, reminded readers of our (rare, I’m told) tendency to read widely, to stock books which represent the best of various schools of thought, and to invite customers into generous conversations that might transcend some typical polarities within the Body of Christ. In plain words, that means we sell books that are theologically liberal and theologically conservative, stuff that is classic and stuff that is innovative, books that are reassuring and books that provoke. (I keep saying this to readers and customers, otherwise our selection may just look confused, which I suspect some fear we are.) Further, we hope to invite customers, readers, reviewers, friends, into deeper dialogue with authors, denominations and traditions perhaps other than their own. This question about the substitutionary atonement, Christ paying the penalty we deserve, justification through grace at the expense of the blood of the Christ who came to pay a ransom— these are important matters. The Bible calls us to proclaim God’s good news, and we are overjoyed to announce that, for those in Christ, there is now no condemnation. But that surely implies a backstory, a context, a situation where there was some condemnation, judgment from which we are—because of Christ—now free. How the cross and death of Christ fits into that story—and the broader gospel Story of the coming of the Kingdom of God—is an endlessly beguiling matter. So one more book here, again—see our special pricing offer, below. (he is) one of the strongest defenders of the theory, based on appeals to Scripture, tradition, and reason. Hodge has no interest in innovation but claims only to be consistent with these sources. It is not surprising that, for so many followers, such a formidable defense should provide legitimacy for this theory. Conversely, those who would reject this theory will have to deal with the biblical and theological sources used by Hodge. Of course few Presbyterian Church (USA) seminaries teach him now, although he is esteemed in PCA circles. Regardless, it was an excellent choice for Schmiechen since his intellectual shadow has been cast upon most evangelicals, whether they realize it or not. Well, on he goes, walking us carefully through Athanasius and Anselm, who emphasize the renewal and restoration of creation, respectively. He has a chapter on the cross as reconciliation (he had an earlier book on this drawn largely from I Corinthians 1 and 2) and one comparing Irenaeus and 20th century liberation theologians. Under the theme of “The Wondrous Love of God” he looks at Peter Abelard, John Wesley, and Jurgen Moltmann. 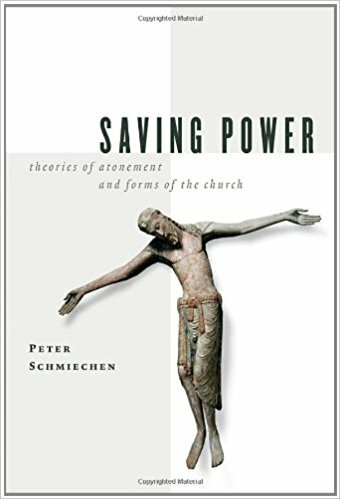 Convinced that many of the church’s problems may be traced back to a lack of clarity in atonement theology, Peter Schmiechen presents a comprehensive range of atonement theologies with integrity, theological acumen, and, at times, surprising analyses. Refusing to reduce the meaning of Christ’s work to one model or theory, Schmiechen boldly presents to less than ten theories, describing their strengths and weaknesses. Those who wish to immerse themselves in the broad spectrum of Christian reflection on the saving power of God in Jesus Christ will be impressed with the lucidity, depth, and congeniality with which he approaches each of the theories he discusses. Even where he feels the need to express his strong reservations, Schmiechen treads carefully, respectfully, and yet frankly. Here are all the lyrics of a marvelously rich song, “Come Ye Sinners” a Joseph Hart hymn from 1759 that is poetic (“weak and wounded/sick and sore”), theological mature in deep awareness of God’s grace, and, in Indelible Grace’s folk-rock rendition, (sorry, this is just a portion of their recording) is one of my all-time favorites. 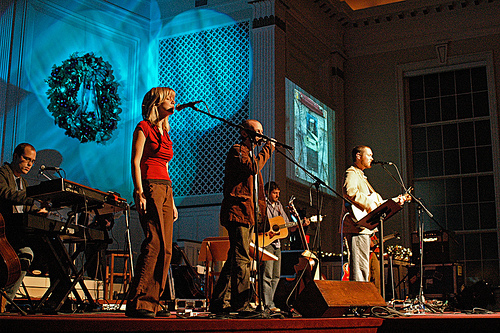 It is from the first of their five CDs, simply called Indelible Grace. Give us a holler if you want to order any.. These are the insurmountable problems every teacher and holder of the doctrine of substitutionary cannot surmount. And it is impossible to refute these things by any source. A. No human male’s life can be taken by bloodshed for any reason or no reason and the result NOT be God’s requirement to give only to God a direct accounting. B.At a future point in time every other man is already required to give a direct account to God in regard to one man’s life that is to be taken by bloodshed. 2. The law of God has had one change made to it AFTER Jesus was crucified adding one word to the law of God. ref. Rom. 5:20, Heb. 7:12b That God has added to the law after Jesus’ crucifixion proves two things. 1. The death of Jesus caused by bloodshed could NOT have been God’s purpose of paying any debit for you on your behalf to reconcile the penalty you are under by God’s law. The only possibility that God accepted Jesus’ crucifixion as a satisfactory payment in-kind was for God to NOT make an addition to his law. 2. For only God can add to his law. And no law of God was ever given by God for any other purpose than to make a preexisting act of general human behavior accountable to God’s authority to judge that action to be right or wrong. who will be declared righteous. A. Paul if a proponent of and propagator of the doctrine of substitutionary atonement could not have nor would have been able to make this statement and it not have produced the result of a self contradicting the self. B. To be declared righteous by God requires the individual to conform an act of human behavior to the authority of a law issued by God. Conclusively. The existence of the doctrine of substitutionary atonement proves that the methods of biblical interpretation in use are insufficient methodology to interpret the Bible correctly and every use of that methodology is a biblical interpretation which is in error.